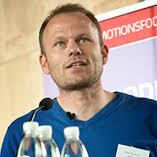 Dr. Krustrup discusses ideas formulated in the Copenhagen Consensus Conference 2016: children, youth, and physical activity in schools and during leisure time. 1) Physical activity in children and youth: Fitness and health. 4) Physical activity in children and youth: Social inclusion and physical activity implementation strategies. Response: Our consensus statement emphasizes that cardiorespiratory and muscular fitness levels in children and youth are strong predictors of future cardiometabolic disease, and that vigorous exercise in sports clubs and in school settings has a marked favourable impact on cardiometabolic fitness and other cardiovascular risk factors in children and youth. Furthermore, the consensus statement emphasizes that physical activity before, during and after school promotes scholastic performance in children and youth, and that time taken away from academic lessons in favour of physical activity has been shown not to come at the cost of scholastic performance in children and youth. Lastly, the consensus statement emphasizes that social inclusion can be promoted by providing equal access to opportunities within physical activity and sports settings regardless of children and young people’s social, cultural, physical and demographic characteristics. Physical activity-based positive youth development programmes that have an intentional curriculum and deliberate training are effective at promoting life skills. Response: We hope that the 21 statements and the 25 recommendations can be of use to contribute to successful implementation of physical activity in schools and sport club settings around the globe. The 25 recommendations includes best practice examples of testing procedures, training concepts and development programmes that are evidence based and ready to be used for large-scale implementation. Krustrup et al. 2016, Larsen et al. 2016, Ørntoft et al. 2016, Fuller et al. 2016. This entry was posted in Author Interviews, Education, Exercise - Fitness and tagged education, exercise by Marie Benz MD FAAD. Bookmark the permalink.